Find warning!!! 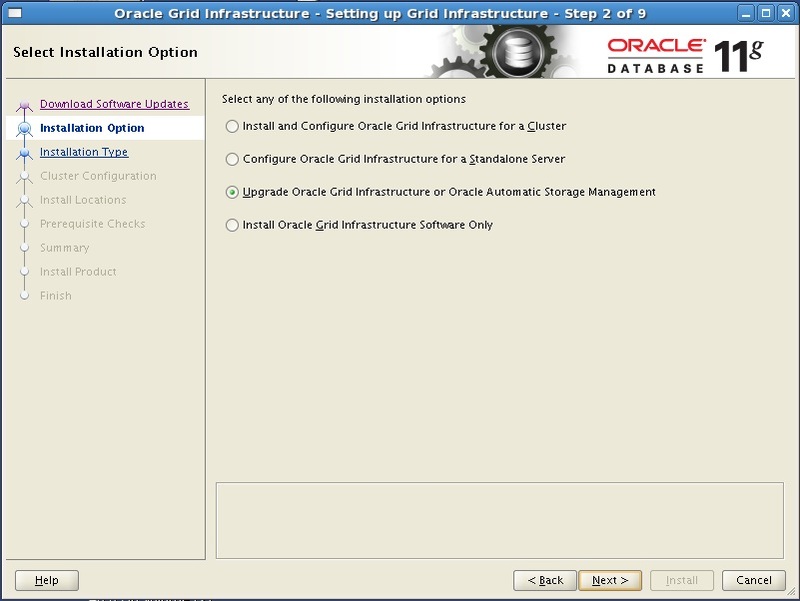 I can not install to replace old Grid Home. I have to use new Home. 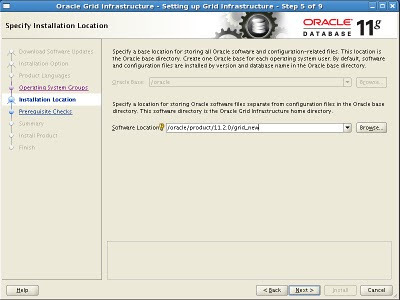 then press Install, find step to run "rootupgrade.sh" script. 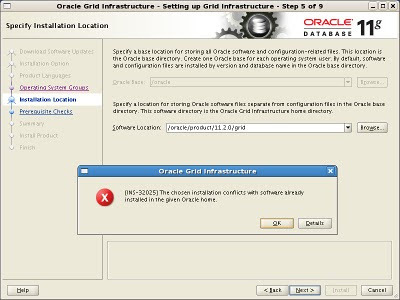 Error while detecting Oracle Grid Infrastructure. 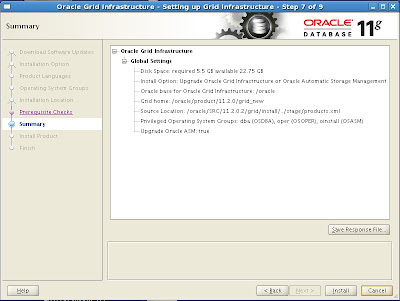 ASMCA needs Oracle Grid Infrastructure to configure ASM. 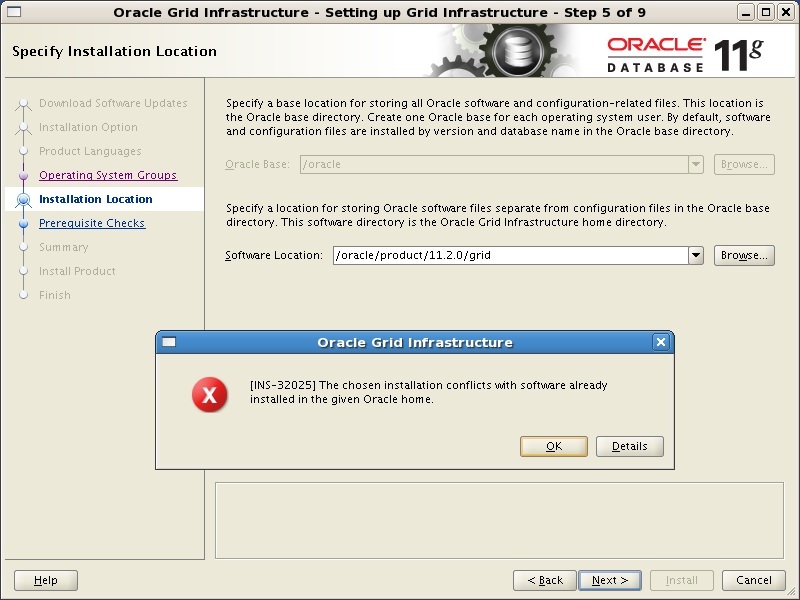 Failed to upgrade ASM for Oracle Restart configuration at /oracle/product/11.2.0/grid_new/crs/install/crsconfig_lib.pm line 12653. 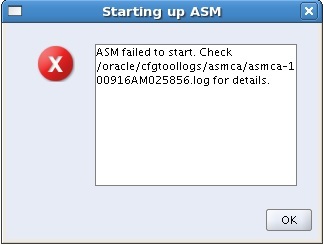 So, run "asmca" but find error. CRS-4664: Node oel successfully pinned. Note: error from rootupgrade.sh, I fixed by 1. copy password ASM file from old home to new home(for start ASM instance ) 2. modified /etc/oracle/olr.loc file (crs_home) after I used "ps -aef" and other idea to check. but ohasd, init.ohasd files still wrong about CRS_HOME. 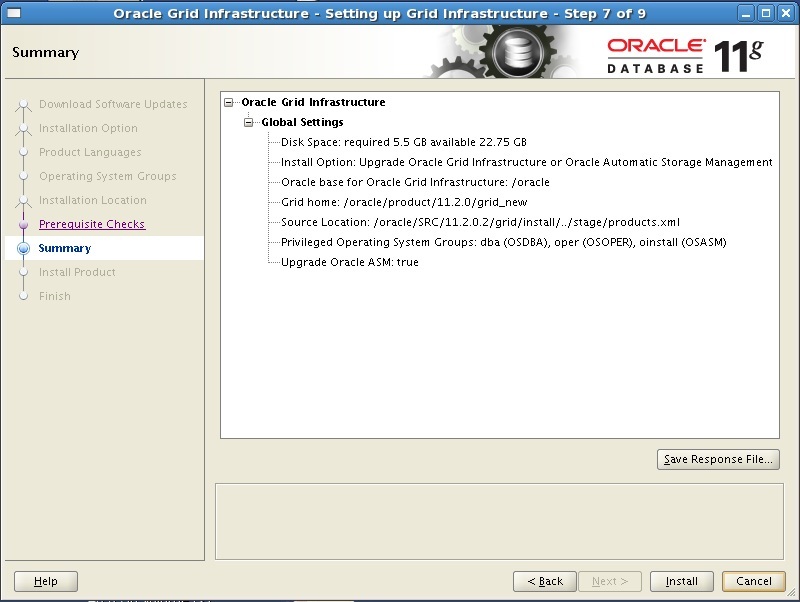 Change /oracle/product/11.2.0/grid to /oracle/product/11.2.0/grid_new in ohasd, init.ohasd files. 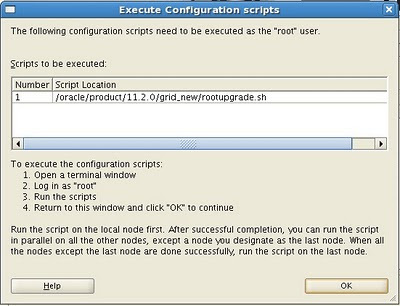 We may find error from "rootupgrade.sh", we should solve it before (try to use "rootupgrade.sh" with no error). 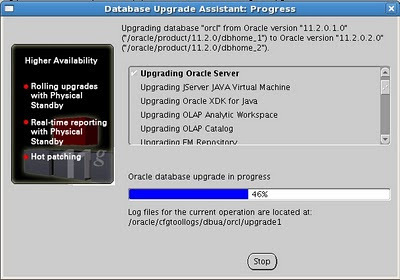 If find "The current version of Oracle Grid Infrastructure is 11.2.0.1.0... " while upgrade database(dbua), make sure step rootupgrade.sh done. thank you. 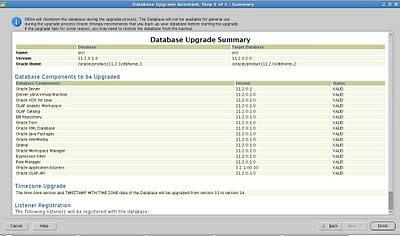 if you have plan to upgrade. Good Luck. 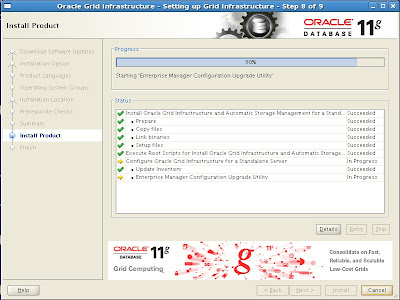 Did anyone used the 2-step process to upgrade ASM? 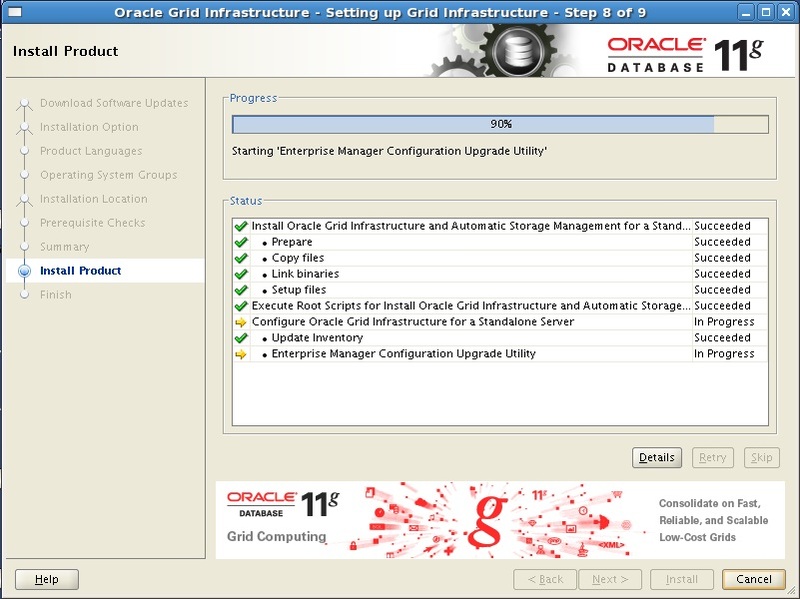 2.Upgrade Grid Infrastructure to ASM. But I think, this upgrade option from 11gR2 onwards is not quite good option as this is same as New GI & Oracle Installation. 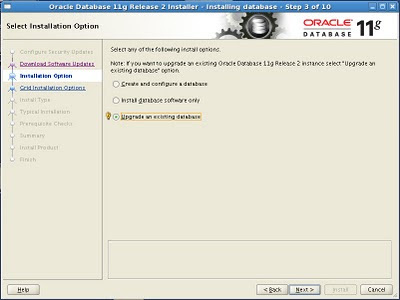 I still don't understand logic behind this Oracle's Purpose. 2. make sure, after reboot (or stop/start HAS), It does not read script (old folder). 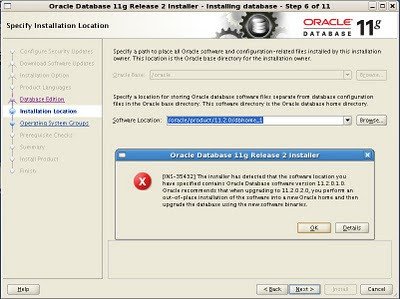 I tried to upgraded in the Existing OH, but Oracle showed Warning and could not. So, I upgraded by using new OH. 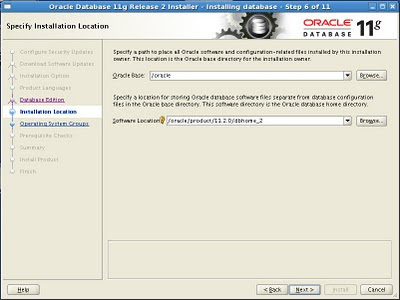 Idea for upgrading like from Oracle Docs. read from readme before !!! and don't forgot to backup. thnx surachart ... i want d same home.. i dont want to install on the other home and revert back to original one again.. so i was trying for inplace ... so any bugs or any other problems faced if v do in dat way ?? anythg u heard or saw. ? 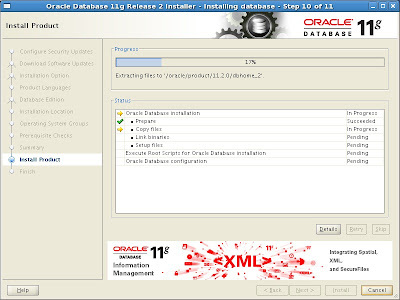 In 11.2.0.1 single instance ASM, there are several daemon processes running as part of HAS (ohasd.bin reboot, orarootagent.bin, oraagent.bin, cssdagent, diskmon.bin, ocssd.bin) but after upgraded to 11.2.0.2 only 3 daemons running (ohasd.bin reboot,evmd.bin, ocssd.bin). Is that normal? 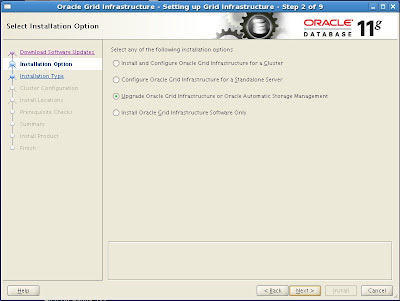 You can start ASM and etc? 11.2.0.2 ... uses (ohasd.bin reboot, orarootagent.bin, oraagent.bin, cssdagent, diskmon.bin, ocssd.bin) anyway. 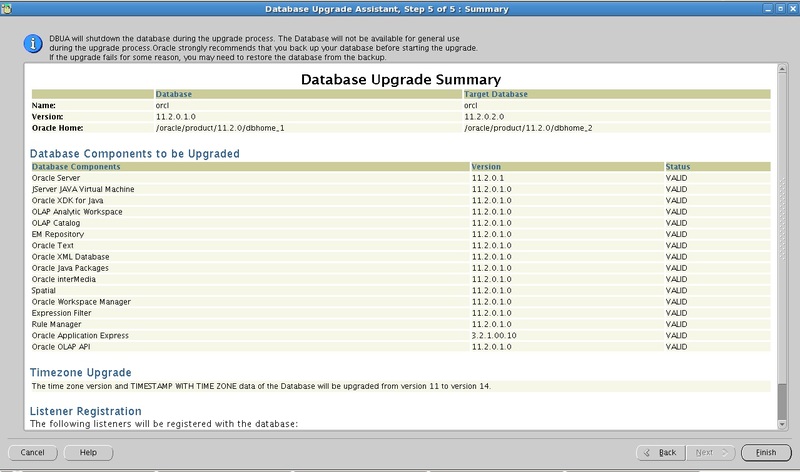 I did the upgrade to 11.2.0.2 on IBM AIX 6.1 without stopping HAS with no issues. All my attempts to upgrade to 11.2.0.2 after stopping HAS failed. I am not sure why.